Photo by Brett Dunlap Carolyn Garrity, Chairwoman of the Homeowner Selection Committee with Habitat For Humanity of the Mid-Ohio Valley, presented Heidi and Eric Gandee with a Bible and a set of keys to their new house during a dedication ceremony on Sunday. 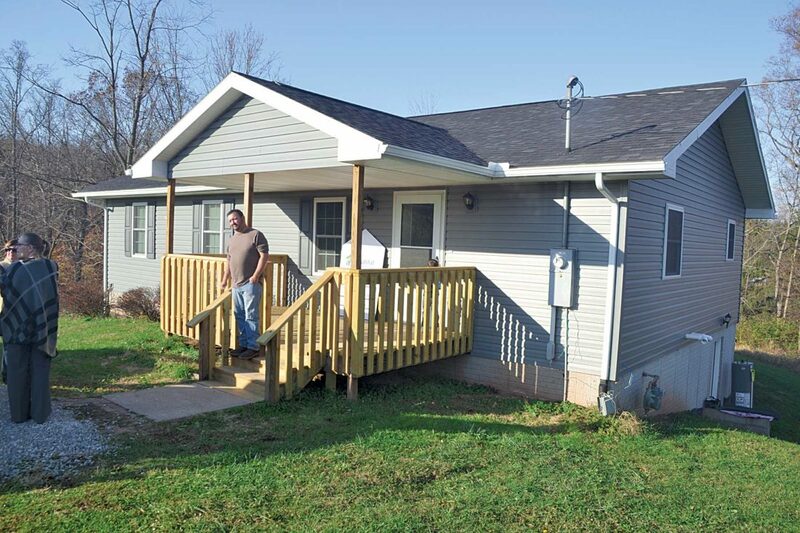 The home, located at 5984 State Route 26 outside Marietta, was refurbished and repaired by Habitat. Photo by Brett Dunlap Eric Gandee stands on the porch of his new home. Gandee and his family were presented with the keys to the house Sunday by Habitat For Humanity of the Mid-Ohio Valley. The home was originally built in the early 2000s, but was foreclosed on. Through Habitat and the Home Depot Foundation, the home was repaired and refurbished for Gandee, his wife and their four children. Photo Provided The Curry family stand with Mike Tucker, West Virginia Central Federal Credit Union President/CEO, on Saturday at the groundbreaking ceremony for a house that will be built for the Curry family by Habitat For Humanity of the Mid-Ohio Valley near Barlow. West Virginia Central Federal Credit Union is a major sponsor of the home. This is the fourth Habitat home in the Mid-Ohio Valley that West Virginia Central Federal Credit Union has sponsored. MARIETTA — A Washington County family will soon be moving into their new home outside Marietta with the help of Habitat For Humanity of the Mid-Ohio Valley. 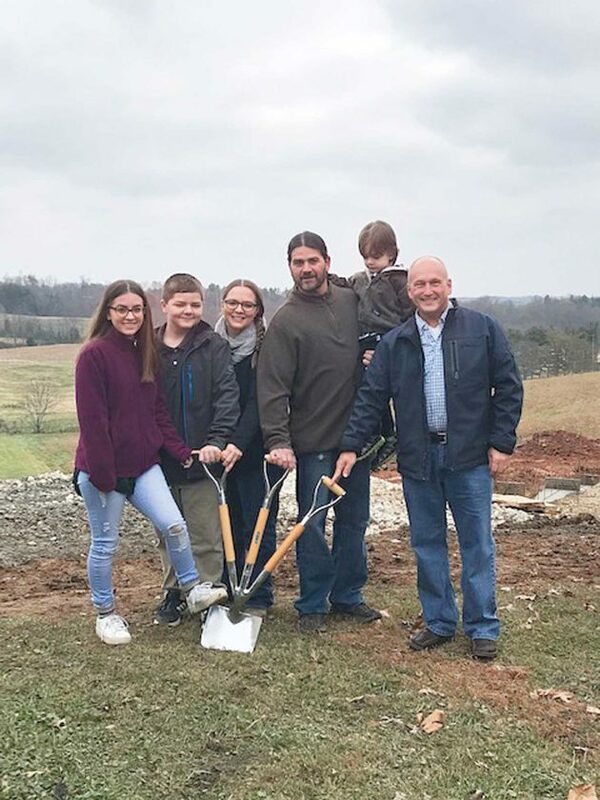 Habitat officials, volunteers and others gathered Sunday afternoon at 5984 State Route 26 outside Marietta for the home dedication for the Gandee family, Eric, Heidi, Jorden, Shaelynn, Hunter and Serenity. MOV Habitat Executive Director Alvin Phillips said the dedication was a little different from others they have held in the past. In many cases, Habitat acquires a piece of ground and is able to build a new house from the ground up. However, in this case, there was a house already standing that was refurbished and repaired. “This home was built back by Habitat in the early 2000s,” he said. People work on the home and other Habitat projects in the area. The homeowners pay a zero-percent interest mortgage to buy the house from Habitat. “Habitat For Humanity sells homes to the families and that does not always work out,” Phillips said. “Just like a bank which forecloses, we have had to do that as well. The Gandees found out about the home from a friend who passed it daily and knew it had been empty for some time. They started looking into it, inquiring about the house and if they might qualify to work on it and buy it. They did. Volunteers and the family have worked on refurbishing the home since early July. Habitat’s Director of Resource Development Robin Stewart thanked Eric for his service as part of the Army National Guard. From 1997 to 2012, he served in the 2nd Battalion, 174th Air Defense Artillery based in McConnellsville, which included a stint in Iraq. The home was sponsored with a grant from the Home Depot Foundation. Home Depot has a homeowner/repair program that supports veterans across the country to help build and repair homes. Several groups including a class from the Washington County Career Center worked on the project. The home is located in an area where a number of Habitat homes were built due to a land dedication a number of years ago by Paul and Kay Callihan. Rodney Lord, pastor of Freedom Gate in Marietta, offered the Home Blessing and spoke about how in God’s heart people don’t only have a physical house, but a place where parents and children come together and grow. 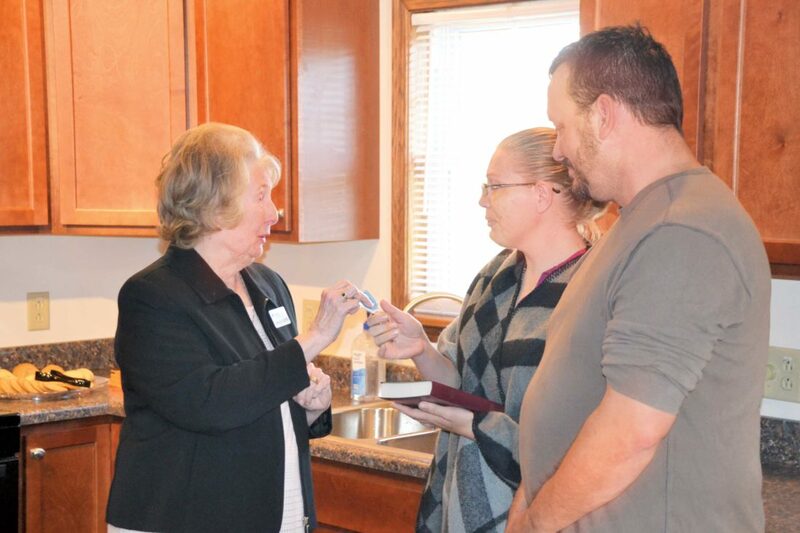 Carolyn Garrity, Chairwoman of the Homeowner Selection Committee, presented the family with a Bible and a set of keys. Books and quilts will be presented at a later time to the family on behalf of Alpha Delta Kappa and Senior Stitchers. Eric Gandee thanked everyone who helped work on the home. Having a home is a stepping stone in life and they have worked hard to get there, Eric said. Heidi thanked everyone who took part in the construction work. Habitat uses volunteer labor, donations and donated materials and land to keep homes affordable for those who wouldn’t otherwise be able to own their own homes through conventional means. Habitat is not a free giveaway. Habitat homebuyers are required to attend homebuyer education classes and complete “sweat equity” hours in working on a number of local Habitat projects as well as their own. Phillips praised Eric and Heidi for being hard workers and jumping into the work that was required of them once they qualified to do a Habitat house. The couple will be able to finalize everything soon and move in in a couple weeks. Prior to Sunday’s dedication, Habitat also held a groundbreaking Saturday for its 105th house in the area. The home, located on McDonald Road in Barlow, will be built in partnership with the Curry family. West Virginia Central Federal Credit Union is a major sponsor of the home. Credit Union employees and members will also be volunteering their time to help build the house. This is the fourth Habitat home in the Mid-Ohio Valley that WV Central Federal Credit Union has sponsored. The start of the home and the dedication of the Gandee home also launches Habitat for Humanity’s annual Caring Campaign, Stewart said. 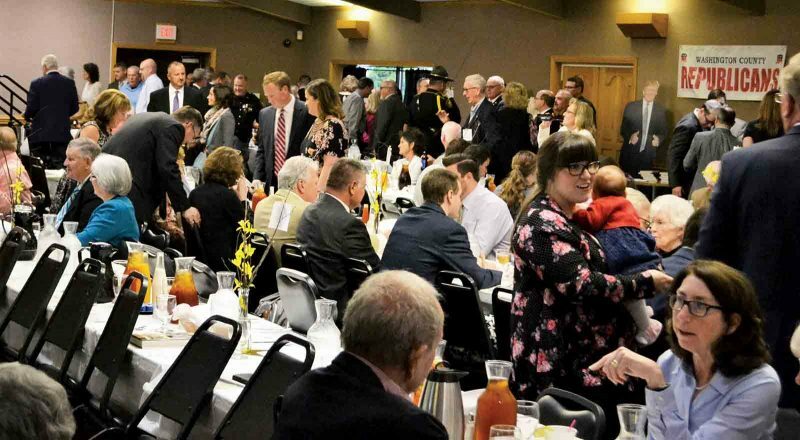 The campaign runs through Valentine’s Day, and the organization has a goal of raising $200,000. 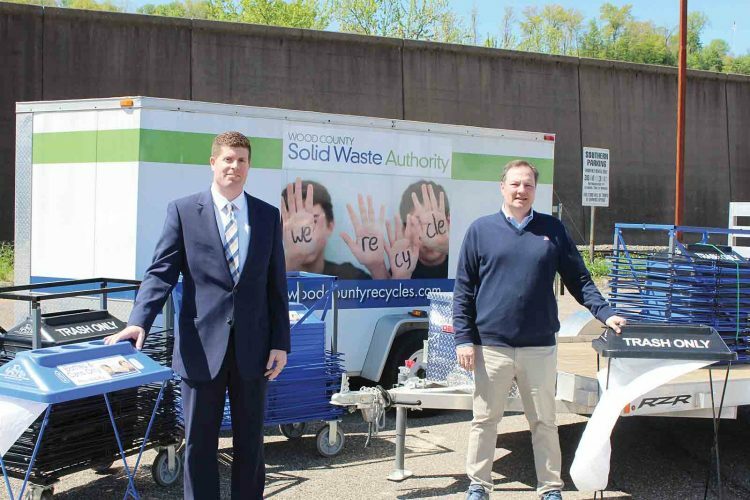 “We are very thankful to those who have given donations over the course of the year,” Stewart said. “This will allow us to serve families, like the Gandees, in 2019. By the end of 2018, 23 people in this area will move into their new home, with the help of about 85 volunteers who dedicated over 2,500 hours. Anyone interested in applying for Habitat homeownership is invited to attend the next homeowner applicant meeting at 5 p.m. Dec. 4 at the Habitat Learning Center, 700 16th St., Vienna (behind the ReStore). More information can be found on the website at www.habitatmov.com, where donors may contribute to the Caring Campaign via PayPal (or call 304-422-7907).